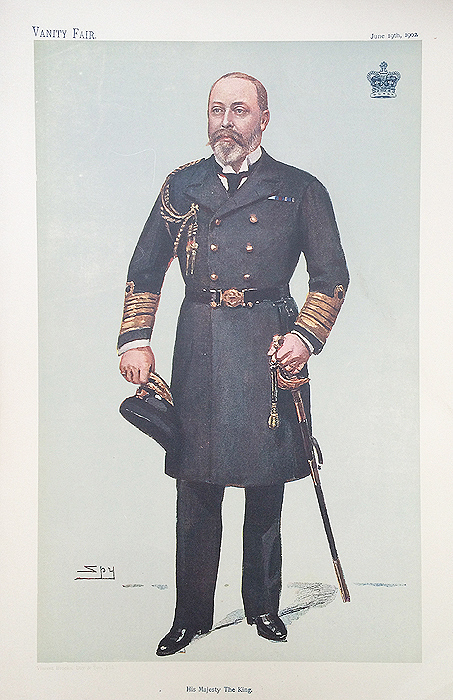 Title: "His Majesty The King"
Description: Photolithograph print by Spy. Born Buckingham Palace 9th November 1841. Ascended the throne 22nd January 1901 after the death of Queen Victoria. Linguist. Condition: Good image and paper. * Guaranteed original antique prints, we do not sell modern reproductions.